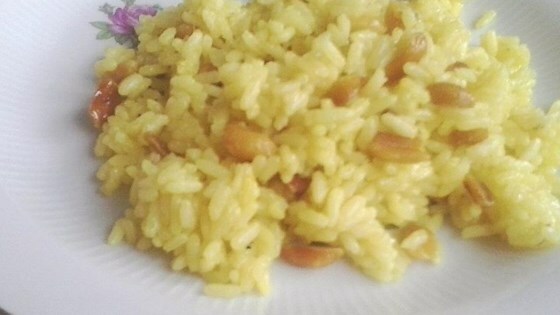 "Lemon rice is a quick and tasty dish that you can make very quickly if you have cooked rice in the house. My mother used to make this for us when we came back from school or on Sundays for a quick lunch. It is delicious and very refreshing. Serve with some plain yoghurt or curds. If you want the sweet-salty taste, you can also add 1 teaspoon of sugar. My kids like it this way. " Heat the oil in a large skillet. Add, in order, the peanuts, chana dal, urad dal, red chile peppers, cashews, mustard seed, curry leaves, green chile peppers, and turmeric to the hot oil in 30 second intervals, allowing each item to cook briefly before adding the next. Stir the lemon juice and salt into the mixture. Mix the rice into the mixture, breaking up the individual grains with a wooden spoon; cook and stir until no clumps of rice remain and the mixture is thoroughly heated. Serve hot. Light, delicious summer salad for backyard picnicking!